Eastern Railway Recruitment 2019 - Walk in for Sr. Residents Post in Paediatrics & Anaesthesiology at B. R. Singh Hospital in Eastern Railway, Kolkata, West Bengal on Contract Basis. 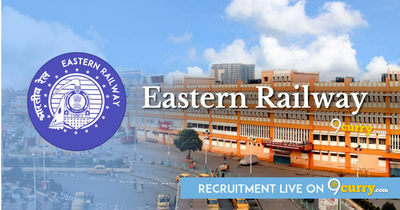 Candidates are invited by Eastern Railway to attend walk-in-interview to be held on 22 Apr 2019 at 02:00 PM for 2 vacancies. 37 years as on 01 Apr 2019, 05 years to be relaxed on the above stated age limit for SC/ ST candidates. 01 In the Specialties of Paediatrics &. Anaesthesiology, the candidates having only post-Graduate Degree i. e. MD/ DNB having · passed within 03 years from the elate of the interview will be considered. Eligible candidates may appear for interview along with duly filled application form in prescribed format and self-attested copies the relevant documetns, and original documents for verification.